Guess what…? 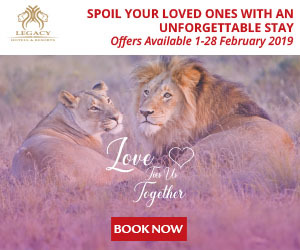 We’ve added February banner and email creatives to the King Price Insurance offer! We have added some brand new banner & email creatives to the Lime24 offer! We have added some brand new January banners and email creative to the King Price Insurance offer! 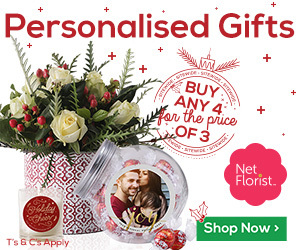 We have added some brand new creative to the NetFlorist offer – Festive banners! They have just added a brand new product to their always expanding product range, and this one is for the men – Pierre Cardin 100% leather shoes for men is now available! On top of that they have an AMAZING deal on blankets – Buy 2 Blankets and get 1 FREE! Just in time for winter we might add. We have new creatives and a Mailer has been added to the creative section. Log into your Dashboard and search for the Email Creative and banners under the HomeChoice offer and boost your sales even more! yours in affiliate marketing brilliance! 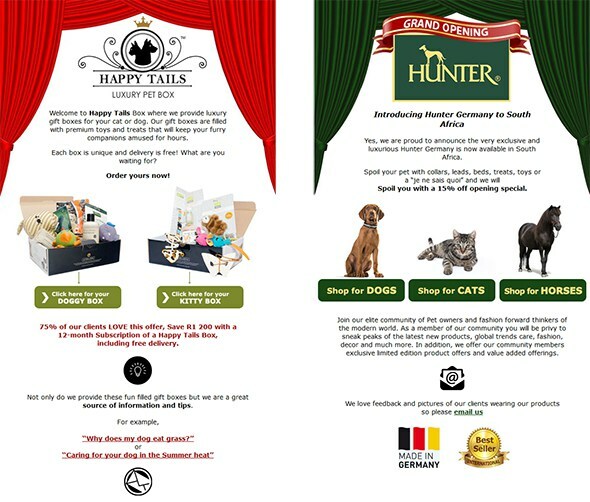 Happy Box Tails and Hunter SA have added new creatives to make it easier for you to generate more sales! Both offers now have a Mailer added, which gives you the chance to target those pet lovers even better. Zinteldo – Buy with Mobicred! 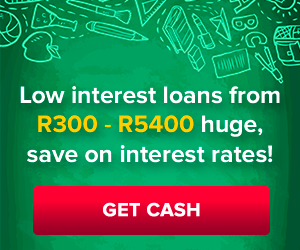 You can now use Mobicred to buy online at Zinteldo, HOORAY! Mobicred is a safe and convenient credit facility giving the consumer the ability to buy now and pay later, increasing your chances of sales conversions and driving up your revenue! All the consumer needs to do is register an account and they can shop away. It provides customers with DIY Home Automation products using Z-Wave Technology. The most popular Z-Wave products are indoor/outdoor lights, thermostats, door locks and security devices like motion detectors, motorized blinds/skylights, home theater systems, and pool/spa controls. Affiliates will receive 7% on all sales made.